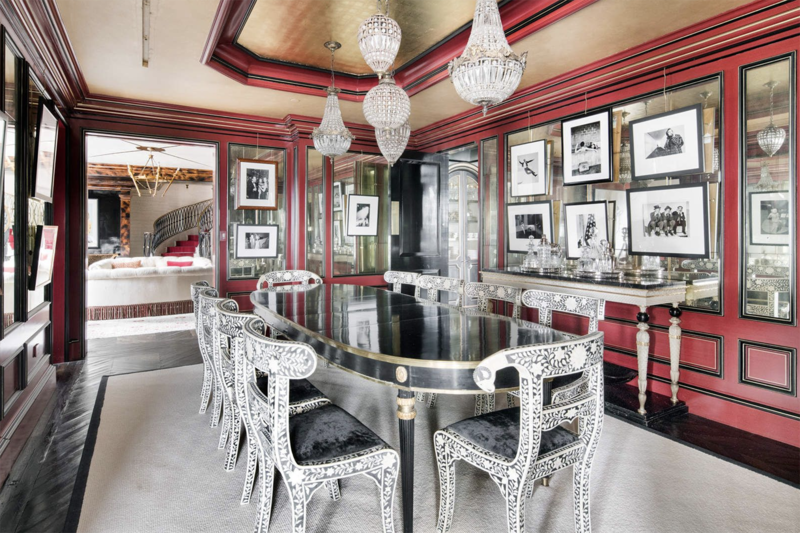 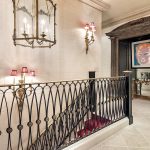 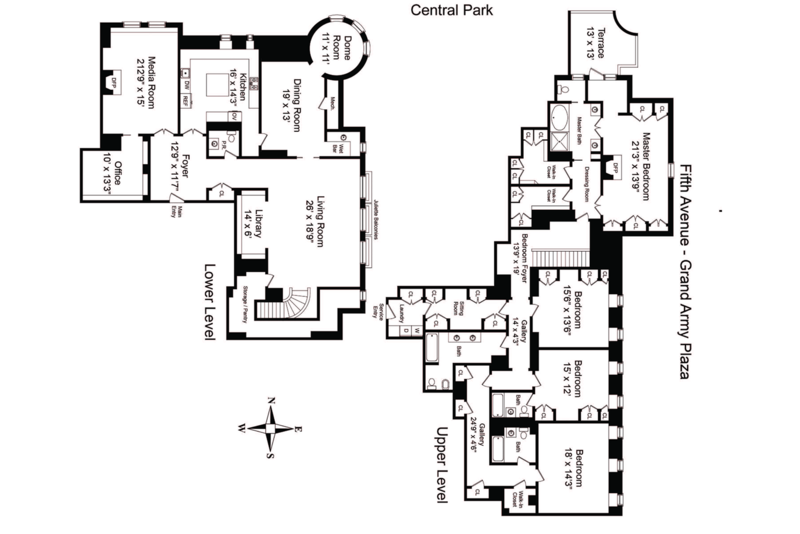 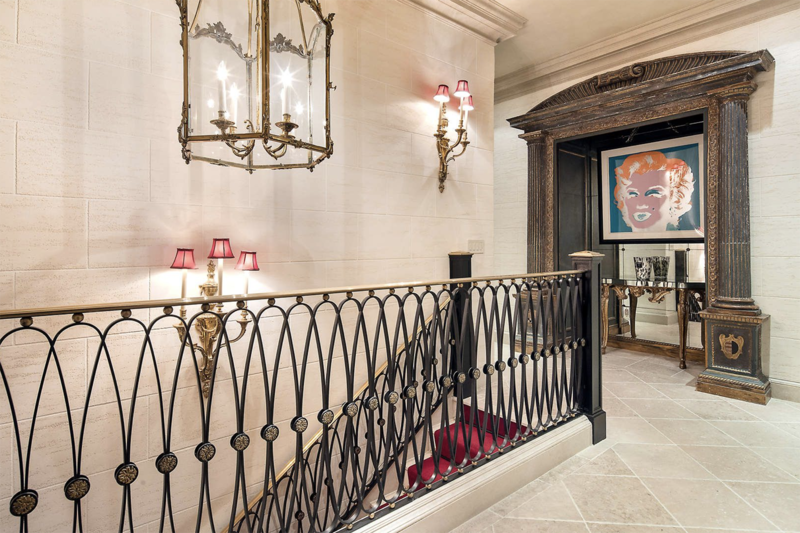 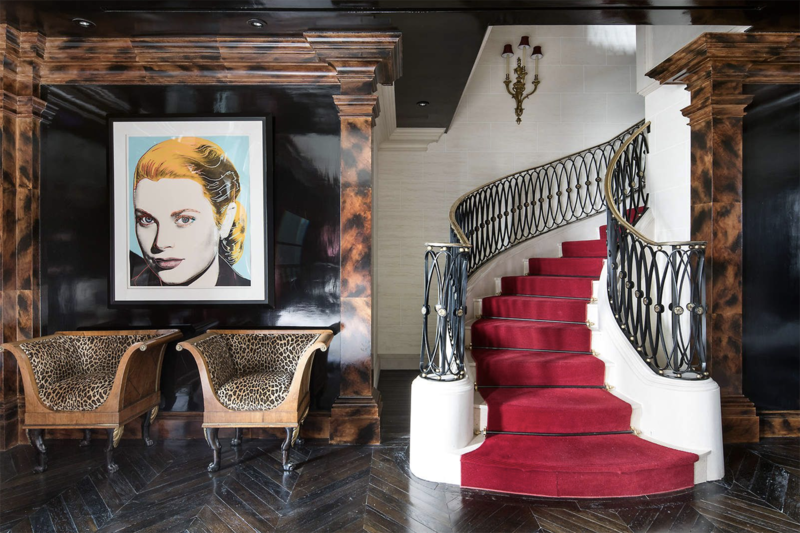 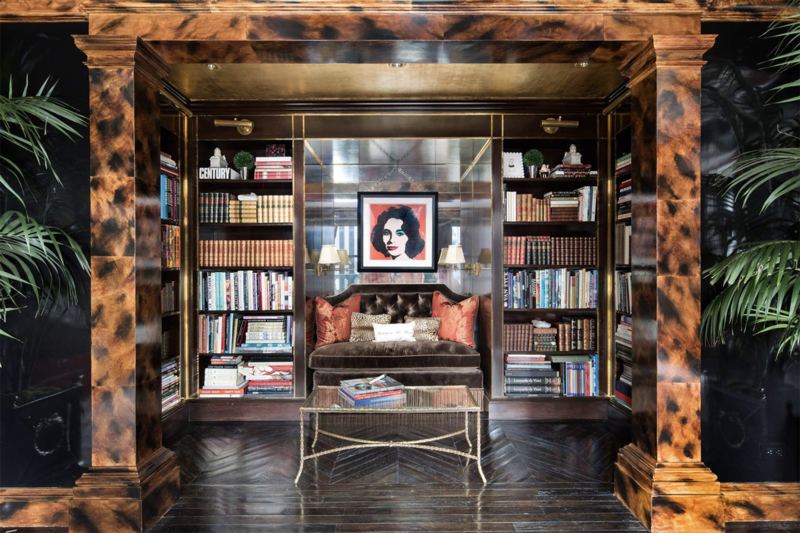 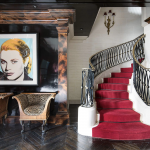 The upper level connected by a sweeping spiral staircase, leads to four private Bedrooms Suites and four Full Bathrooms. 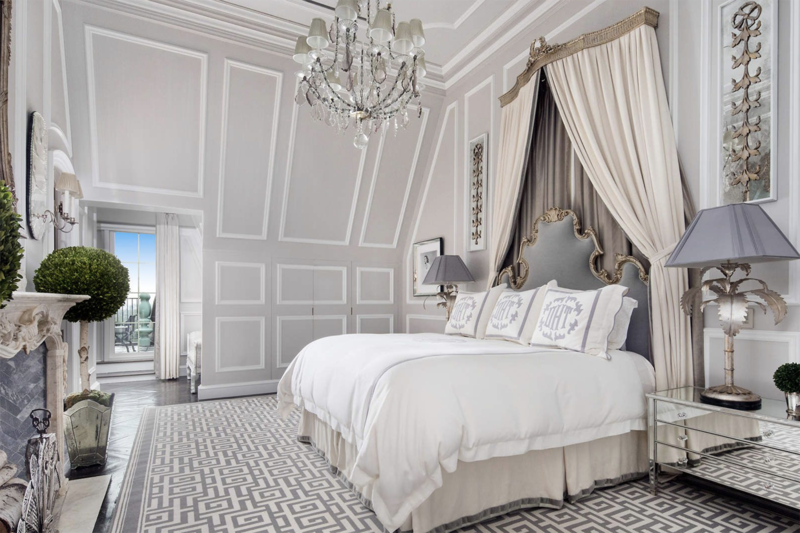 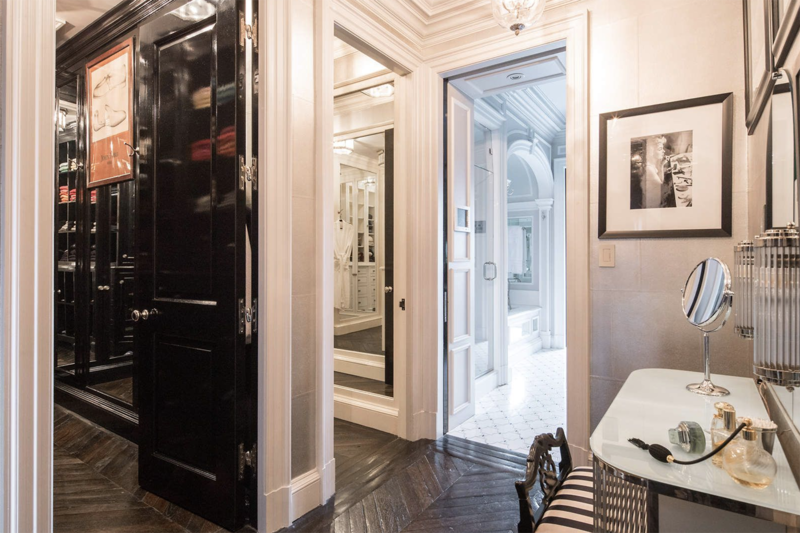 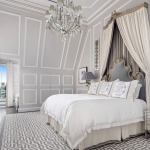 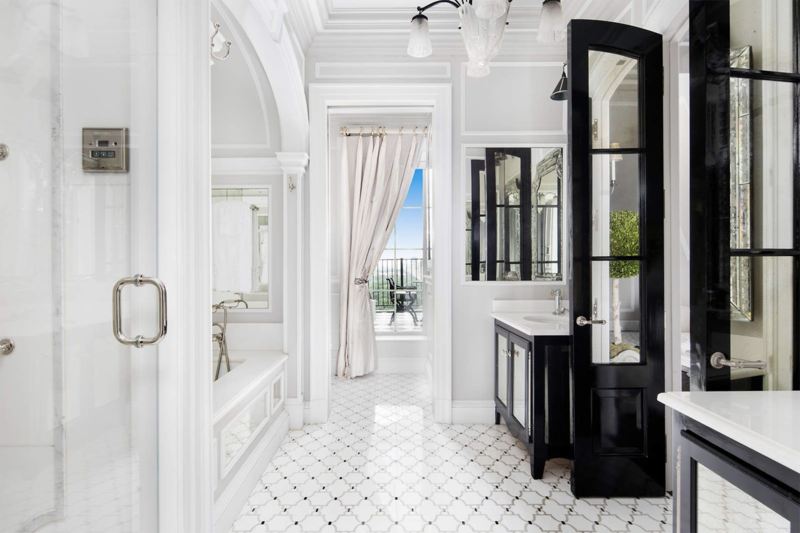 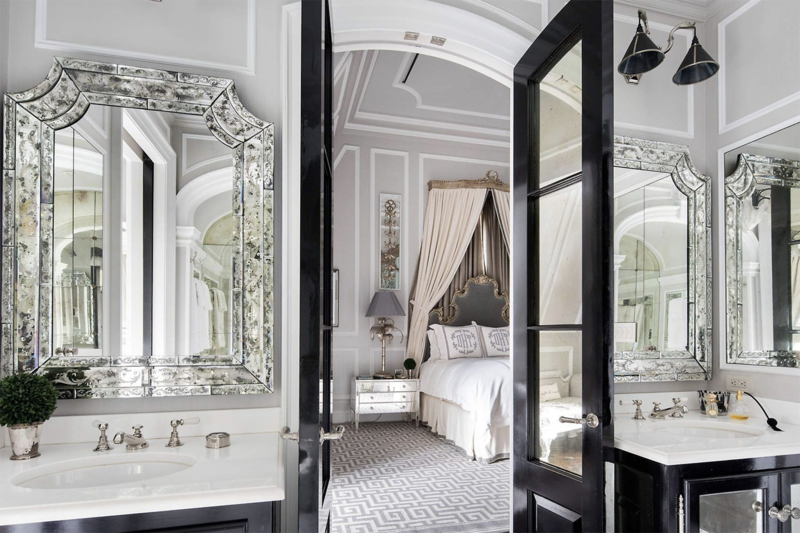 The luxurious corner Tower Master Suite is a sophisticated retreat and includes a decorative fireplace, double Dressing Rooms and a Spa inspired Bathroom. 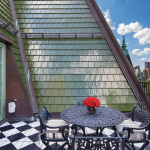 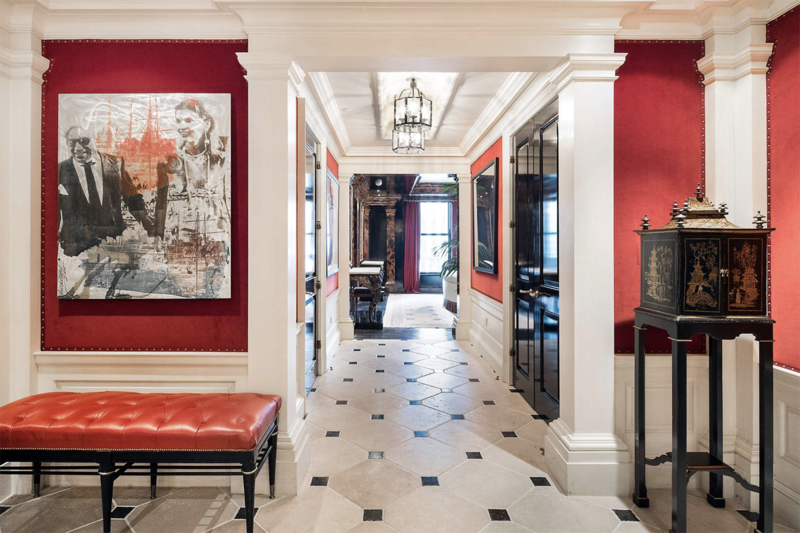 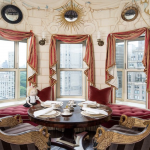 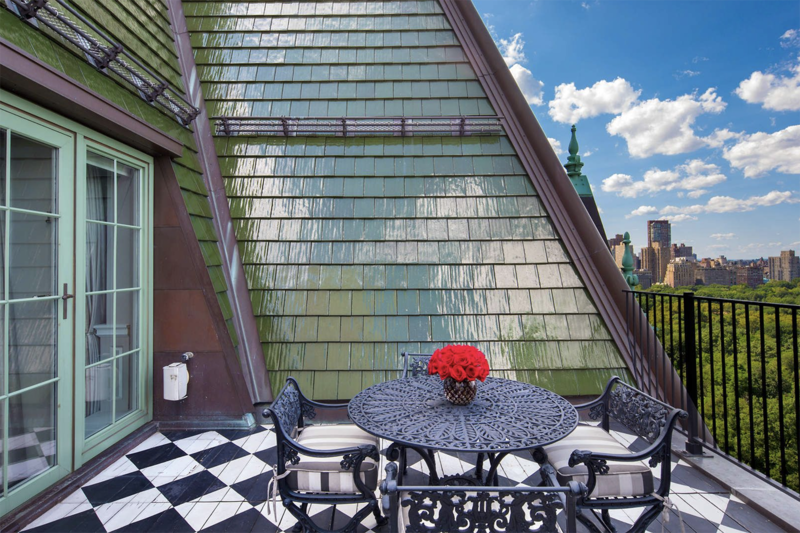 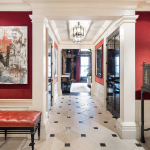 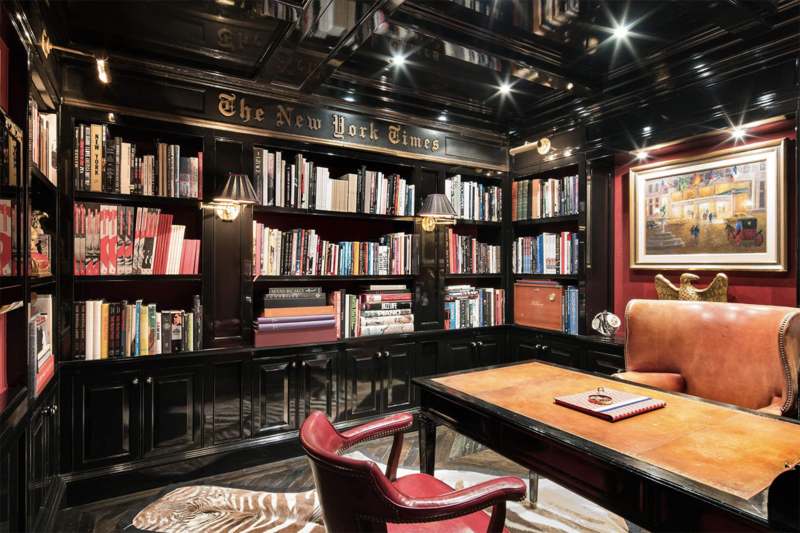 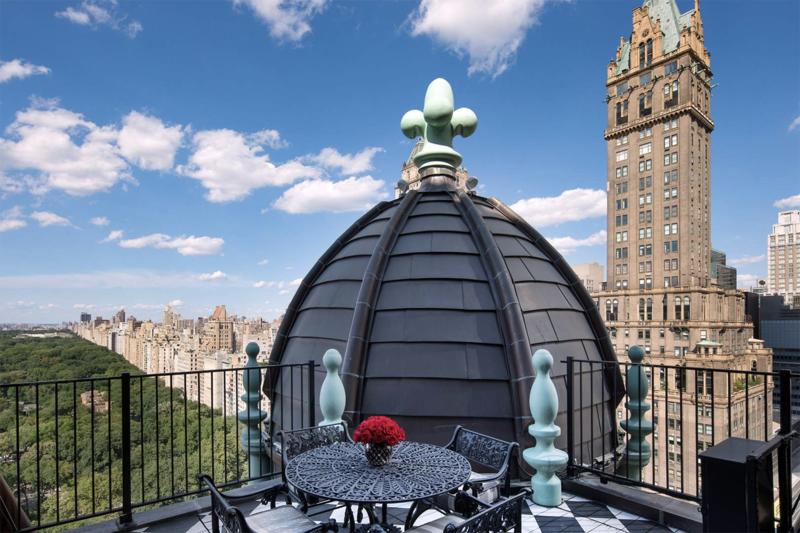 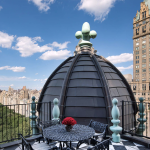 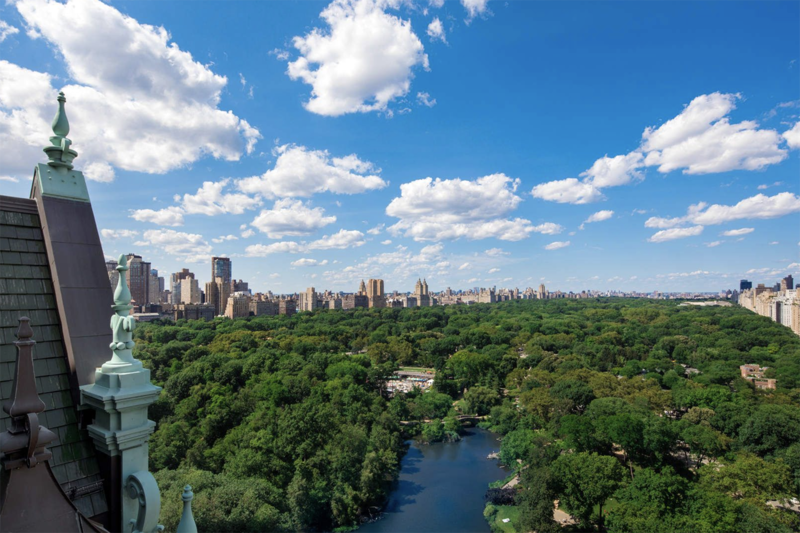 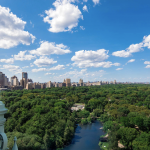 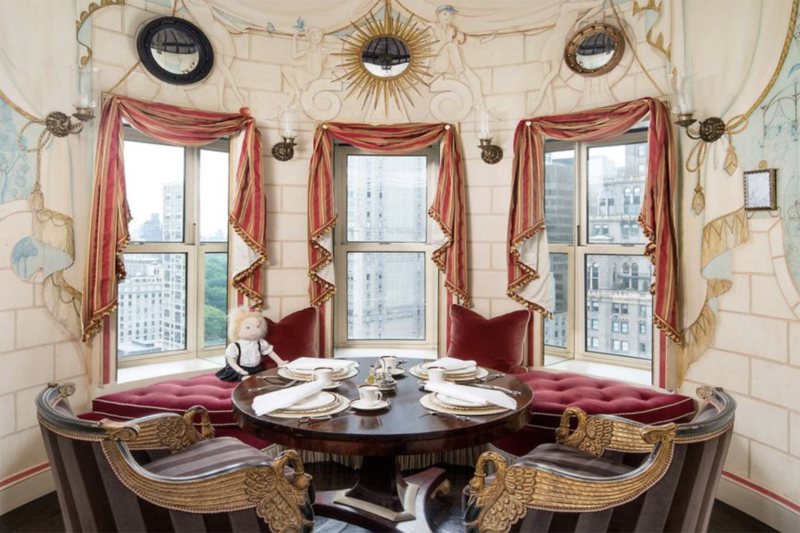 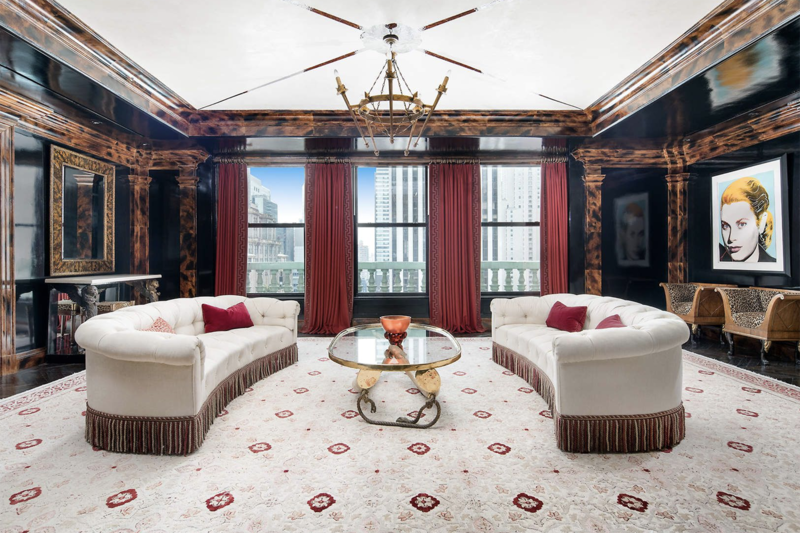 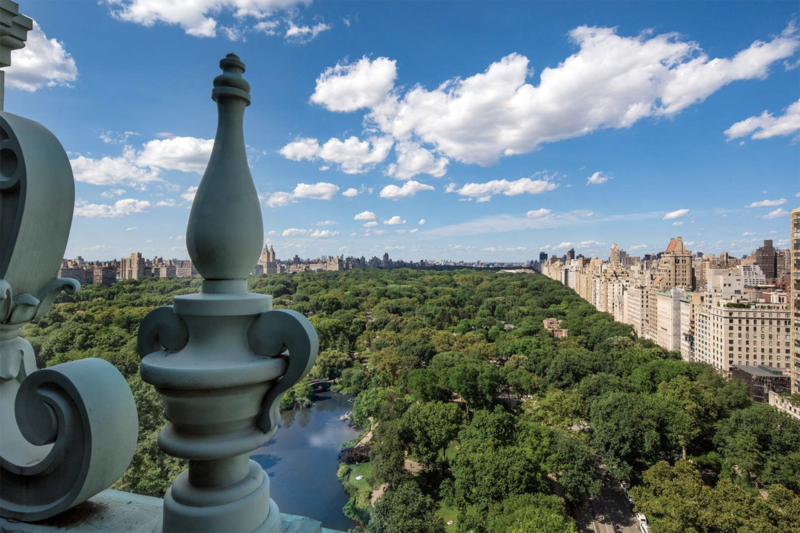 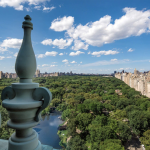 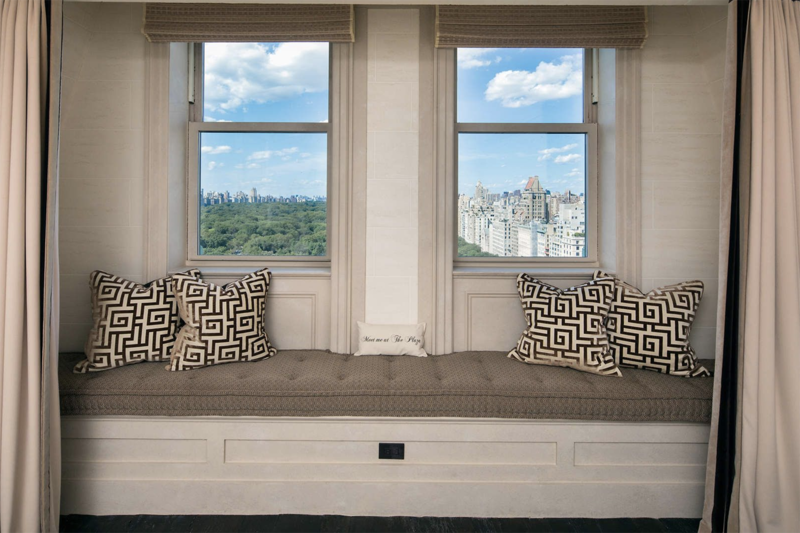 The private magical Terrace overlooking Central Park is enhanced by the Plaza’s famed, architecturally significant, Grand Dome. 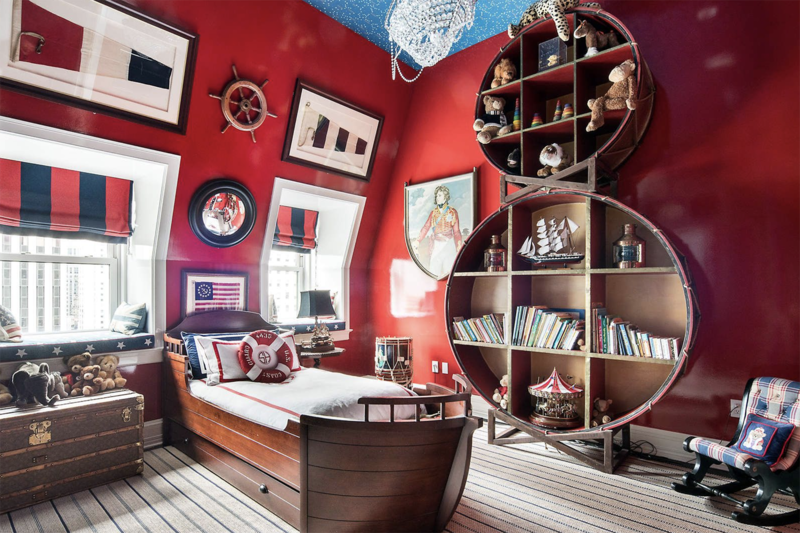 Three additional whimsical Bedrooms Suites are: Nautical, Rock N’ Roll and Lavender Fields themed. 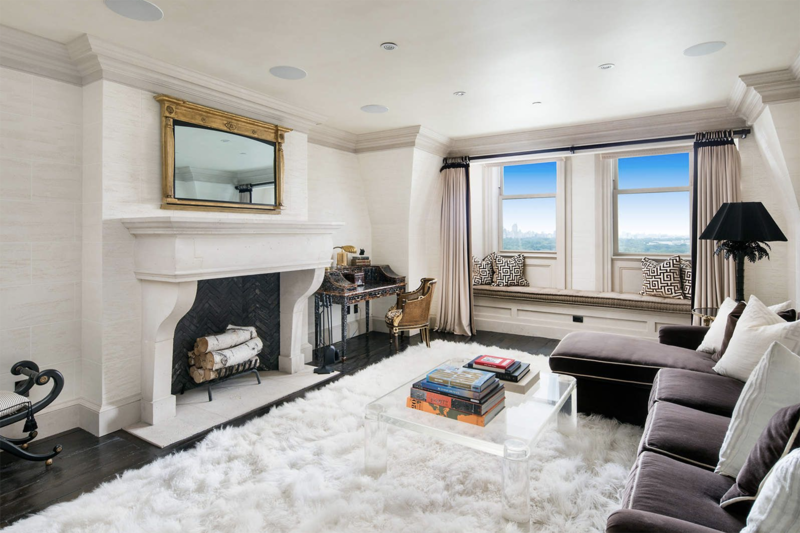 A handsome Guest Sitting Room and Laundry complete this level.